Jun. 19 – The California Board of Parole Hearings has concluded that Patricia Krenwinkel was a victim of intimate partner battering at the hands of Charles Manson. Krenwinkel appeared before the parole board on December 29, 2016. Following a daylong hearing, the board reconvened after a two hour deliberation and issued a continuance to investigate abuse claims made by Krenwinkel’s attorney, Keith Wattley. On October 10, 2016, Wattley wrote the Board of Parole Hearings to inquiry why an intimate partner battering investigation had never been conducted in Krenwinkel’s case, since it had all the hallmarks. According to Wattley, the board responded on October 21st stating in effect that they had enough information to conclude that she was a victim of intimate partner battering and if they needed more information, they’d conduct an investigation. During the December hearing, Wattley again questioned why a formal investigation had never been conducted. The penal code directs the board to put great weight to any information and evidence that, at the time of commission of the crime, the inmate had experienced intimate partner battering. Additionally, the code states that if an inmate presents evidence of intimate partner battering it cannot be used to support a finding that the inmate lacks insight into their crimes and its causes. Following Krenwinkel’s December 2016 hearing, the Board of Parole Hearings launched a formal investigation, interviewing former Manson family members in and outside of prison. According to multiple sources familiar with the investigation, the report relied on information taken from interviews of Charles “Tex” Watson, Leslie Van Houten, Bruce Davis, Diane Lake, Steve Grogan, Catherine Share, Barbara Hoyt, Stephanie Schram and Sherry Cooper. Others were sought but not located. Charles Manson refused to be interviewed. 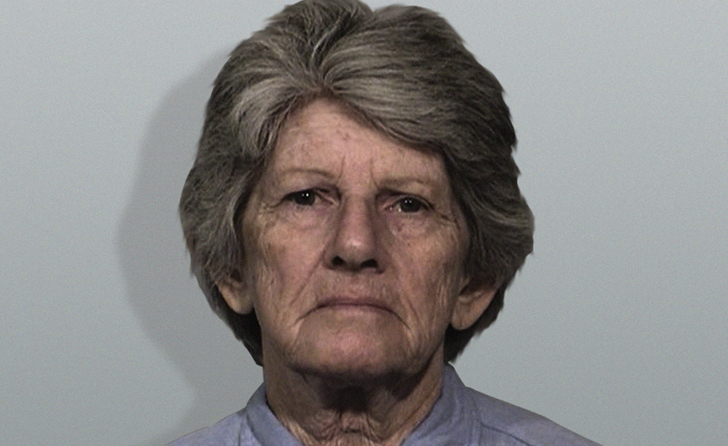 Krenwinkel’s hearing is scheduled to resume on Thursday. The board will go over the findings of the investigation, take comments from both sides and then a decision on parole suitability will be made. Jun. 17 – The Los Angeles County District Attorney’s office has asked Judge Sam Ohta to deny Leslie Van Houten a hearing in the Superior Court, meanwhile Van Houten’s attorney continues to doggedly pursue disclosure of the Tex Watson tapes. In January, Van Houten filed a Writ of Habeas Corpus pursuant to People v. Franklin, contending she is entitled an opportunity to establish a record of mitigating evidence of her characteristics and circumstances at the time of the murders. On May 4th, Judge Ohta ordered the District Attorney show cause as to why such a hearing shouldn’t be granted. Specifically, Ohta asked the District Attorney if Van Houten had previously had an adequate opportunity to create such a record; and if not, whether she is now entitled to make one now. 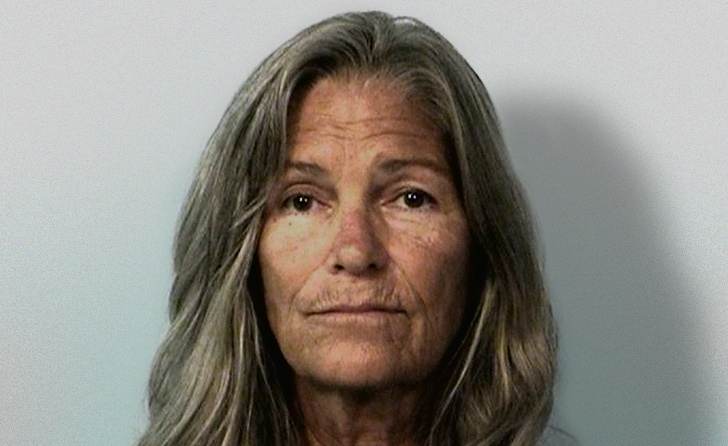 In a brief filed on June 1st, Deputy District Attorney Donna Lebowitz conceded that Van Houten did not have an opportunity to make such a record when her case was pending in the Superior Court, but did have ample time to prepare one for her April 14, 2016 parole hearing. With the passage of a Senate Bill in October 2015, Van Houten became eligible for Youth Offender Parole, in which parole boards are instructed to put great weight on diminished culpability of juveniles and contrast it with any evidence of growth and maturity that has occurred since their commitment offense. “It would be entirely redundant to allow [Van Houten] to duplicate in court, that which she has already presented to those making the ultimate decision on her parole suitability,” wrote Lebowitz. Van Houten’s attorney, Rich Pfeiffer called Lebowitz’s argument disingenuous considering she was aware that Van Houten’s attorneys had sought the Tex Watson tapes continuously throughout the 18 months prior to the April 2016 hearing. The Tex Watson tapes are the earliest known documented account of the Tate-LaBianca murders. Recorded before any codefendant account had been made public, the tapes provide an uninfluenced look into the two nights of murder which Watson led. The tapes consist of conversations Charles “Tex” Watson had with this Texas attorney, Bill Boyd. Watson waived his attorney-client privilege in order to have Boyd sell copies of the recordings in 1976 to Chaplin Ray Hoekstra, who was authoring a book on Watson. In 2008, Boyd discussed having the tapes in an interview with writer Tom O’Neill. The following year, Boyd died suddenly after suffering a heart attack. Within months, his law firm went into bankruptcy. The District Attorney’s office found out about the tapes in 2011, when O’Neill told Deputy District Attorney Patrick Sequeira that he had been trying to acquire copies from Linda Payne, a bankruptcy trustee who possessed the recordings. O’Neill, through the help of an attorney, tried to convince Payne that privilege no longer existed. Going through two boxes of legal records Boyd had related to Watson’s case, Payne found Watson’s contract with Boyd, as well as the 1976 attorney-client privilege waiver signed by Watson when Boyd to turned over copies to Hoekstra. Payne contacted Sequeria in March of 2012 and informed him that she would turn over the recordings to Los Angeles authorities. Watson fought the release for nearly a year but ultimately lost due to the contract and waiver. The Los Angeles Police Department took possession of the tapes in the spring of 2013. Attorneys for Van Houten have sought copies of the tapes for nearly four years, but the Los Angeles County District Attorney’s Office has refused to turn them over. A brief filed by Pfeiffer, chronicled efforts to obtain copies of the tapes dating all the way back to 2014. In the Fall of 2014, Christie Webb, one of Ms. Van Houten’s attorneys, began calling the Los Angeles Police Department to determine whether they would be willing to participate in informal discovery with regard to audio tape(s) made by Charles “Tex” Watson made in or about 1969. On October 3, 2014, Ms. Webb spoke with someone in LAPD’s media relations who directed her to Greg Toyama, the supervisor of the Risk Management and Discovery Unit. Ms. Webb was then directed to the LAPD Detectives who were handling the audio tapes. Detective Dan Jenks directed Ms. Webb to the District Attorney’s office. Ms. Webb learned that LAPD had done a 40-page report about the content of the tapes. On October 20, 2014, Ms. Webb spoke with John Morris, Head Deputy District Attorney, Parole Division. Ms. Webb informed Mr. Morris that she believed the tapes contained information about Ms. Van Houten that might be relevant to her parole suitability hearing. On December 10, 2014, Ms. Webb again spoke with Mr. Morris, who stated the “tape is in the possession of the LAPD,” and the police are “not inclined to participate in informal discovery.” Mr. Morris opined the tapes were not discoverable because there is “not any cross over” between the cases, meaning Ms. Van Houten’s case and Mr. Watson’s case. Mr. Morris stated he would check with the LAPD to see if Ms. Van Houten was mentioned in the tapes. Ms. Webb again spoke with Mr. Morris on January 6, 2015, who agreed with the LAPD detectives that there was “no overlap” between the cases. Mr. Morris stated that Ms. Van Houten is “hardly mentioned at all” on the tapes. Most of the recording was Mr. Watson talking about his “drug upbringing” and “Manson’s control over him.” Therefore, the LAPD would not be participating in informal discovery of the tapes. Mr. Morris was informed that “control” exerted by Manson was a central issue in both cases, and that defense counsel would decide what to do about discovery of the audio tapes. On March 26, 2015, Ms. Webb served a Deposition Subpoena for Production of Business Records to be served on the LAPD’s Custodian of Records-LAPD Discovery Unit. On March 31, 2015, Ms. Webb received an email in response to the service of the subpoena from Jess Gonzalez, Supervising Assistant City Attorney, Public Safety General Counsel Division, Police Discovery Section, who stated in the email that the District Attorney’s Office has placed a “hold” on the tapes and would not release them. Gonzalez suggested Ms. Webb contact the District Attorney’s Office. On September 11, 2015, a petition for writ of mandate was filed in the Los Angeles County Superior Court. On October 27, 2015, the superior court denied the writ petition. On November 13, 2015, a petition for writ of mandate was filed in the Second Appellate District, Division One. The court of appeal summarily denied the writ petition on November 19, 2015. On December 21, 2016, the District Attorney filed the answer and basically argued that their position throughout the entire matter was that “Manson was in complete control of the ‘family’ who committed the murders at his behest.” The District Attorney argued that this position made the tapes cumulative, because it was the same position relied upon by all parties in the underlying trials. Additionally, the “People do not believe it is necessary for the Court to arduously labor through the 326 pages of rambling musings about LSD, secret worlds beneath Death Valley and bizarre racial theories.” On February 3, 2016, the Supreme Court denied review. Pfeiffer rejected Lebowitz’s argument that a parole consideration hearing would be the appropriate venue to create a record in support of Youth Offender Parole. The District Attorney has previously asserted that there is no post-trial discovery process to assist an inmate to compel discovery at a parole suitability hearing. Without discovery, Van Houten has no way to subpoena the Tex Watson tapes. Pfeiffer noted that the District Attorney’s office has used his efforts against Van Houten. In the April 2016 hearing Lebowitz suggested Pfeiffer’s efforts to get the Tex Watson tapes was an example of Van Houten not taking responsibility for her crimes. When the Board of Parole Hearings recommended Van Houten for parole, District Attorney Jackie Lacey wrote Governor Jerry Brown. Lacey was critical of a letter of support Van Houten received from a psychologist that she was getting therapy from. Lacey argued that Van Houten was attempting to manipulate the parole board by submitting a psychological assessment of insight by a private clinician. Lebowitz also argued Van Houten in not entitled to a hearing pursuant to People V. Franklin because Van Houten’s case is distinguishable from Franklin’s. In 2011, 16 year-old Tyris Lamar Franklin, shot and killed Gene Deshawn Grisby-Bell, also 16, after Bell had reportedly gotten into an altercation with Franklin’s younger brother. Franklin was subsequently convicted of first degree murder and sentenced to two consecutive 25 year-to-life terms. The California Supreme Court affirmed the conviction, but ruled that Franklin did not have adequate opportunity to create a record of factors of youth. The case was sent back to the Superior Court where Franklin would be allowed to present mitigating evidence in support of his future youth offender parole hearings. In opposition to Van Houten’s request for a similar hearing, Lebowitz noted differences between the two cases. 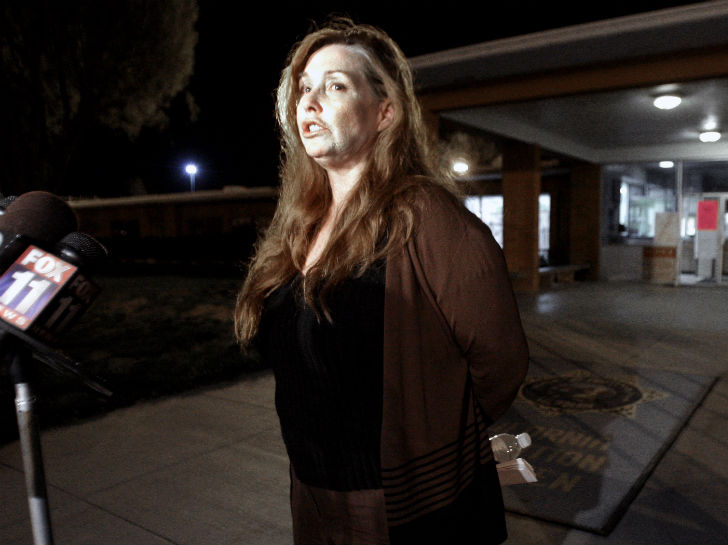 Franklin would not be eligible for parole for 25 years, whereas Van Houten had not only been eligible for decades, she has already had several parole hearings. The motivation for the Franklin ruling was that the court felt compiling an accurate record of characteristics and circumstances of a juvenile offender would be best done at the time of the offense. Pfeiffer feels Lebowitz’s argument in opposition of a Franklin hearing, only bolsters Van Houten’s need for the Tex Watson tapes. May 10 – Debra Tate, the outspoken adversary of the Manson family, has been diagnosed with breast cancer. After losing her mother Doris to brain cancer in 1992 and her sister Patti to breast cancer in 2000 – both victims’ rights advocates – Debra dedicated her life to continuing her family’s legacy. Over the past two decades, Debra has become a staple at Manson family parole hearings, relentlessly opposing their release. Last year, Tate launched online petitions on her website noparoleformansonfamily.com, collecting nearly half a million signatures opposing parole for Manson family members. A gofundme page to help with Tate’s medical bills has set up by her friend, Jillian Barberie. May. 5 – A Los Angeles County Judge, yesterday ordered the District Attorney’s office to show cause why Leslie Van Houten shouldn’t be allowed a hearing in the Superior Court to create a record, documenting evidence of her immaturity at the time of the LaBianca murders. A series of high court decisions over the past decade have highlighted the psychological differences between juveniles and adults, leading to several changes on how the two groups are handled, in terms of sentencing and parole. The courts have acknowledged that juveniles lack maturity and have an underdeveloped sense of responsibility, leading them to implusivity and reckless behavior. Juveniles are more vulnerable to negative outside influences and also lack strong character traits, therefore their actions are less indicative of who they are, or will become, later in life. In response to this, California adapted youthful offender parole hearings with the passage of a senate bill in 2013. Inmates whose commitment offense occurred before the age of 18 and had served 15 to 25 years of their sentence, would be given parole hearings in which the board would have to put great weight on diminished culpability of juveniles and contrast it to any evidence of growth and maturity that has occurred since. In October of 2015, the youthful offender parole program was expanded to inmates that had committed their crime before the age of 23, thus making Van Houten eligible. In January, Van Houten’s attorney, Richard Pfeiffer requested a hearing to be held in Los Angeles County Superior Court, pursuant to People V. Franklin. The purpose of the Franklin hearing is to establish a record of mitigating evidence of Van Houten’s youth at the time of the offense. 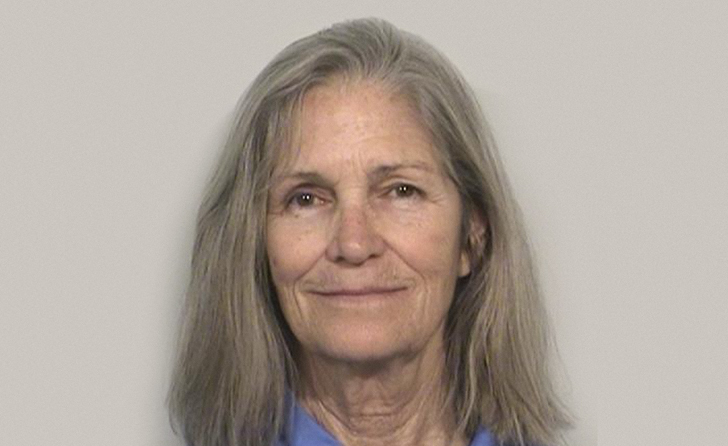 This record will assist the Board of Parole Hearings, Governor’s office and the Courts, by giving them a formal profile of Van Houten’s state of mind when she was involved with the Manson family. Pfeiffer has submitted to the court a recent psychological evaluation of Van Houten and he has indicated he plans to subpoena the Tex Watson tapes. The Watson tapes are the earliest known documented account of the Tate-LaBianca murders. Recorded before any codefendant account had been made public, the Watson tapes provide an uninfluenced look into the two nights of murder which he led. Watson’s account, more than any other account to date, can provide the greatest clarity on the murders and months leading up to them. The tapes will also provide insight into the influence on Van Houten, both at Spahn Ranch and at the LaBianca residence during the murders. On Monday, Pfeiffer filed a motion with the Board of Parole Hearings to disqualify the entire Los Angeles County District Attorney’s office from participating in Van Houten’s upcoming parole hearing in September. The motion, charges that the office holds a bias against his client and is unable to exercise its function in an evenhanded manner. The motion largely focused on the District Attorney’s refusal to turn over the Tex Watson tapes despite the office conceding the tapes were exculpatory. If the District Attorney refuses to turn the tapes over for the Franklin hearing, Pfeiffer has indicated he will file a motion to exclude their office from it as well. Yesterday, Los Angeles Superior Court Judge Sam Ohta gave the District Attorney’s office 30 days to respond as to why Van Houten’s request for a Franklin hearing should not be granted, and whether or not, she has already had adequate opportunity to make such a record.